By Evan Eschliman / March 4, 2017, 10:15 a.m. The United States presidential election and transition has diverted attention in the West from another major political transition: the corruption scandals of conservative South Korean president Park Geun-hye. In the last months of 2016, many corrupt practices involving her relationship with her friend Choi Soon-sil came to light, resulting in huge public demonstrations, record-low 4 percent approval ratings, and Park’s impeachment on December 9. Political scandals, even at the level of the highest executive, are not new to South Korea. As recently as 2004, then-president Roh Moo-hyun was impeached and kept from exercising his powers before being reinstated two months later. But Choi Soon-sil-gate, as the current scandal has been dubbed, seems to be especially extensive; additional related convictions are still occurring. Most recently, Lee Jae-young, the acting head of Samsung, was arrested and indicted for bribery tied to the scandal. The still-increasing scope of the ongoing investigation suggests the charges will not all be resolved by this December’s elections. 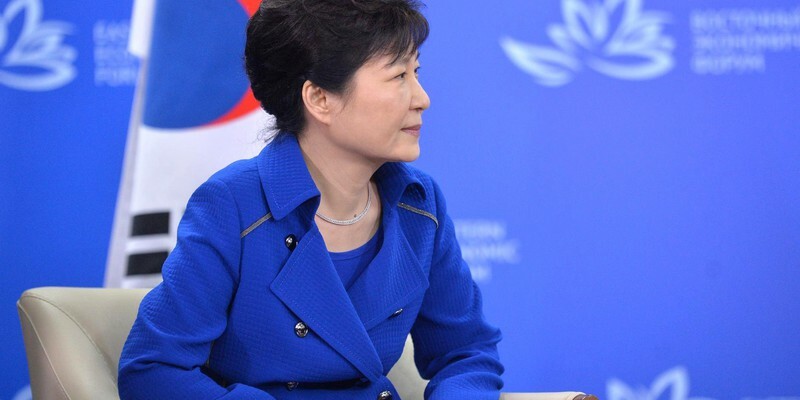 Going into the elections with low national confidence in Park and her (newly renamed) conservative Liberty Korea Party means that progressives are almost certain to take power whether or not Park has been removed from office by then. With this probable transition of power, South Korea is poised to join many other nations around the world that have had a major change in regime in the last year. Even though this was not a leftist ruler toppled by a populist right-wing movement, as in the United States, Brazil, and other large economies, the motivating ideology behind the change is not dissimilar. The South Korean reversal of the today’s more common left-replaced-by-right model illustrates what many of these regime shifts were about: globalization and resource distribution resulting in perceived unfairness. Like many countries, South Korea is reacting negatively to globalization, but in its own way. The nation’s economy is largely controlled by family-owned business conglomerates called chaebol (like Samsung, Hyundai, or Lotte), and Koreans are seeing globalization benefit the chaebol more than the South Korean people. The Park scandals only serve to exacerbate these sentiments of unfairness. Park’s partiality toward chaebol, along with allegations that she helped Choi Soon-sil’s daughter Chung Yoo-ra get preferential treatment in college admissions and grading, are both very personal issues for many Koreans who believe that hard work should lead to increased opportunity, not family ties and government favoritism. Cumings also points out that progressives have grown increasingly frustrated as the right wing has remained in power over the last ten years, and this set of scandals will only help ensure that executive power will be shifted back to the left. When exactly the progressives will take over, though, is unclear. Currently, Prime Minister Hwang Kyo-ahn, a staunch loyalist and defender of Park, is serving as acting president. The extent of power he has in that role is not well defined, but Hwang will continue to serve until he is voted out of office through the popular election in December, or until Park’s impeachment trial results in a decision to reinstate her. One of the judges that must help decide on the trial plans to retire on March 13, suggesting that there may be a decision cast well before this winter’s election. But, regardless of why it happened and when it fully materializes, this leftward transfer of power could certainly cause conflict with newly established conservative regimes. As tensions between North Korea and its neighbors mount, strong ties between foreign and South Korean leadership will be crucial. The world can only hope that a new leader will help bring political stability to South Korea and the region; however, the fact that South Korea’s power transfer is opposite to the global trend of political transitions may only make cooperation between South Korea and Western allies more difficult.